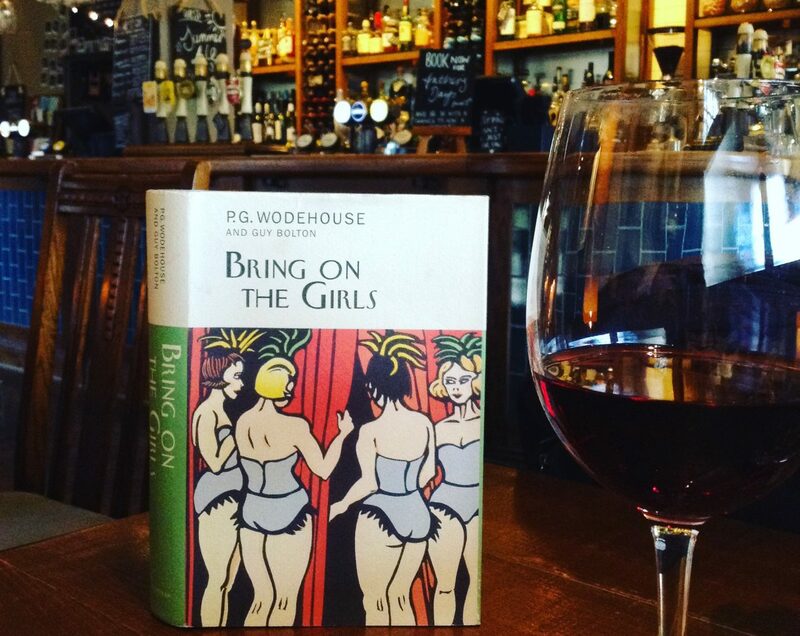 As an immigrant, rather than a tourist, my Wodehouse pilgrimage has to be managed in small stages, juggled alongside work, parenting and family commitments. 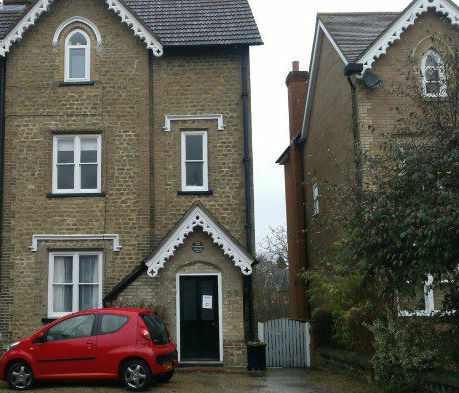 Earlier this year I wangled a drive through Guildford, Surrey where P.G. Wodehouse was born. To my delight, I also discovered a few towns of interest in the surrounding area. It was a quick ‘drive by’ photo shoot so photo quality is not the best. Rest assured that I’ll be returning and filing further reports in the fullness of time. It was impossible to get closer on this occasion, but according to Open Plaques the sign above the door reads: ‘Author and humourist P.G. Wodehouse was born here on October 15th 1881.’ The great Wodehouse expert N.T.P Murphy explained to me that Wodehouse was born here ‘early and by accident’. 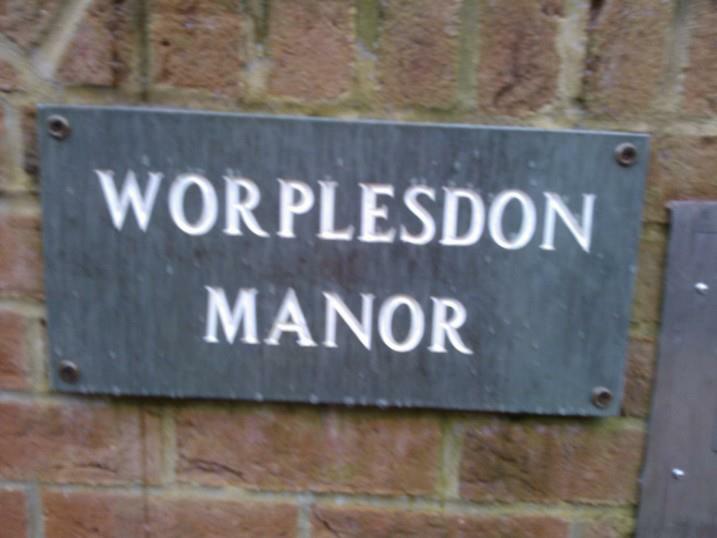 His mother Eleanor Wodehouse was staying with a sister in Bramley, a nearby village about 3 miles south of Guildford. She was paying a social to an Army friend in Epsom Road when PG arrived unexpectedly. 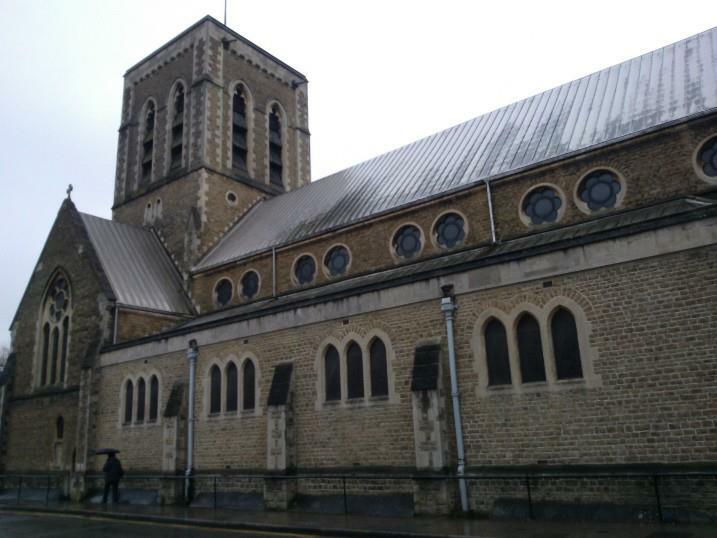 St. Nicolas’ Church, Guildford. Wodehouse was baptised at the font. 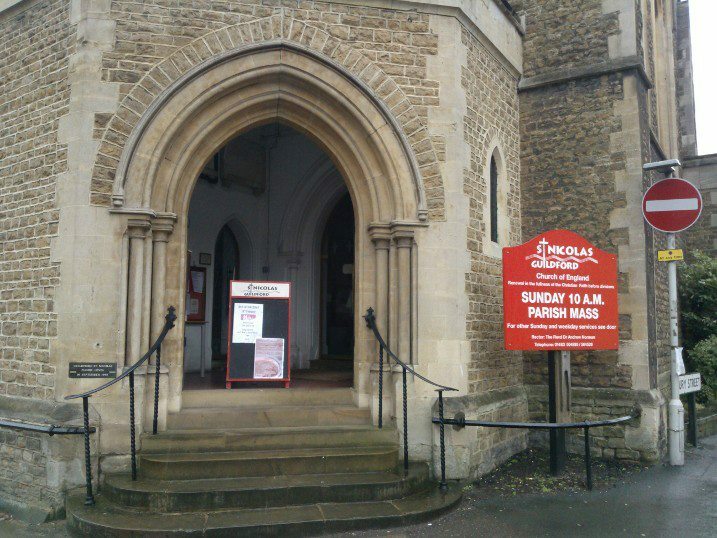 St Nicholas is hardly the small parish church of ‘Great Sermon Handicap’ fame, but might have been mid-career home to one of the distinguished Mulliner clergy. Admittedly, this photo will do nothing for my reputation as a bulb squeezer, or as a driver. But I felt justified holding up traffic on the road from Guildford to capture this unexpectedly glorious set of options. 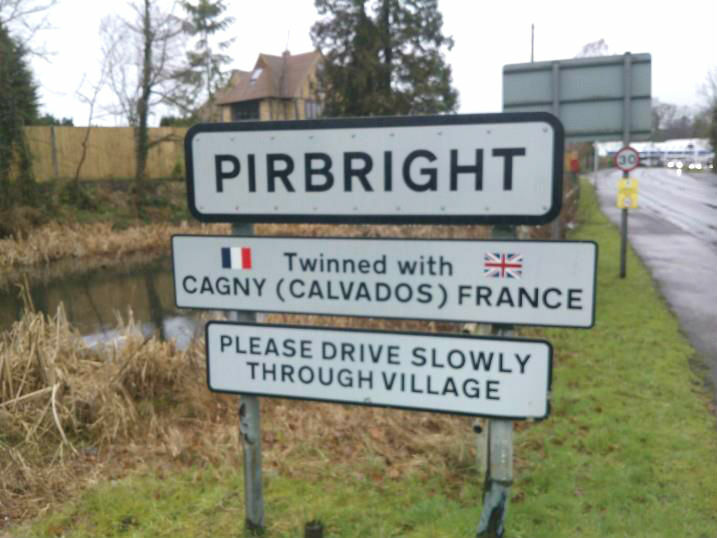 Indeed I did drive slowly through this village, hoping to spot an illustrious Pigman or two. Alas the illustrious pile behind the sign, and any resident Aunts, were not visible from the road. 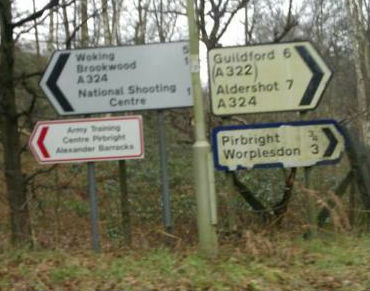 And I did not get to Aldershot, which gets recurring mentions in the Wodehouse school stories. 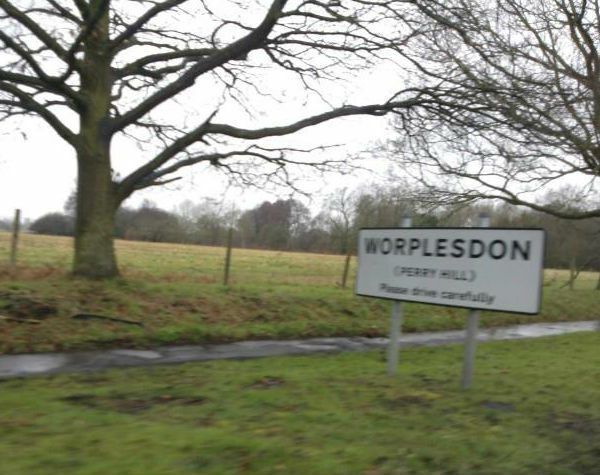 My short drive in this region was a teaser of what is yet to come in my Plumtopian pilgrimage The next exciting step will occur next weekend, when I take a walk in London well-known Wodehouse enthusiast and author, Colonel N.T.P. Murphy.